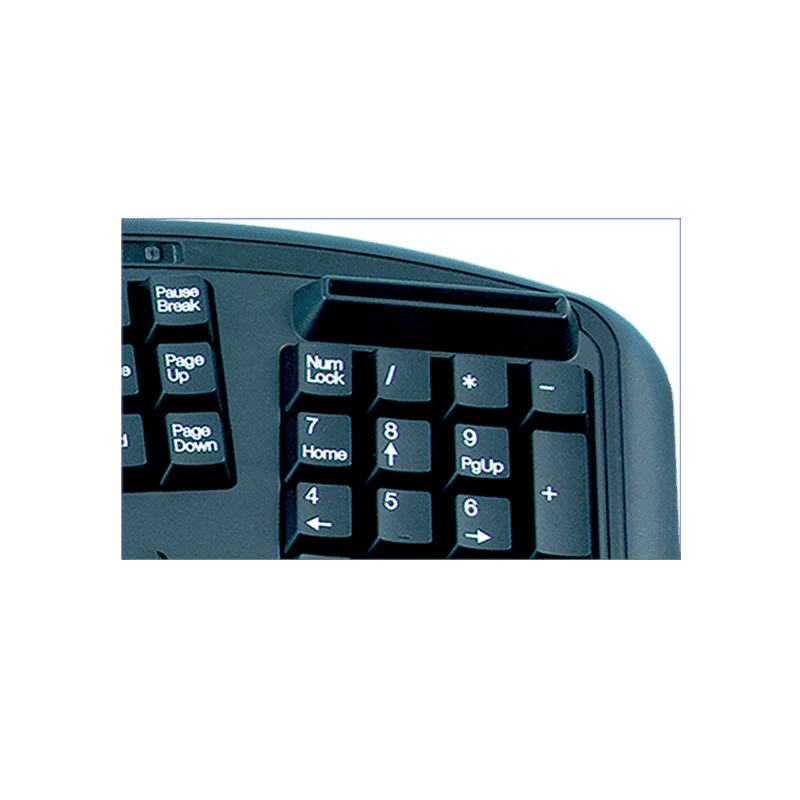 Designed for use in federal government and military applications, the SMK-Link Electronics VP3825 Ergonomic Keyboard with CAC Reader is a ready replacement for lost or damaged government and military keyboards. 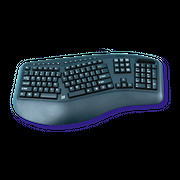 It features 105 positive-response keys with F-keys, keypad and LED indicators. The VP3827 meets all TAA requirements. 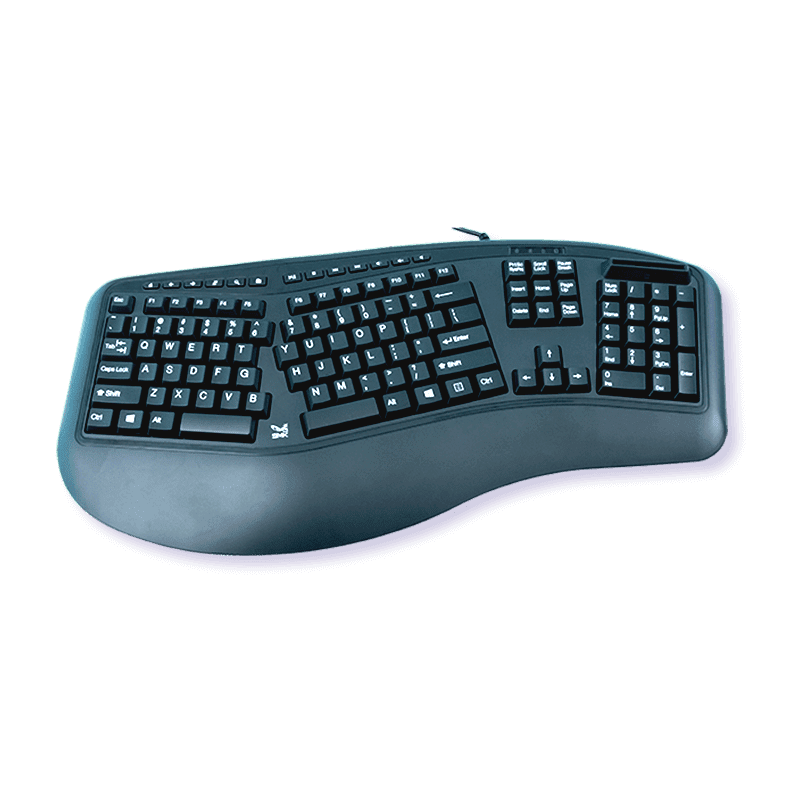 The TAA Ergonomic Keyboard with CAC Reader (Model VP3827) is a full-size 108-key ergonomic keyboard with 13 Windows hot-keys and an integrated 'CAC' compatible SmartCard Reader.